On March 1st and 2nd, T3chFest, the largest event organized by students in Europe, is being held at the Carlos III University of Madrid. In 2017, 1200 people attended the first level talks that were offered, this year the attendance is expected to be even greater. Bitfab was commissioned to make 80 personalized 3D printed keychains for the event. The day before the event begins, the T3chCena is organized with all the speakers and organizers. 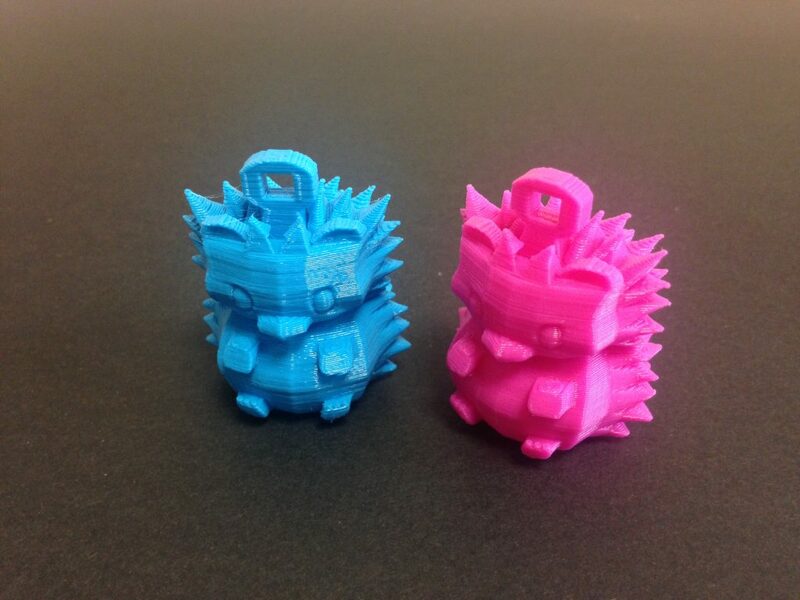 This year the organization of the T3chFest decided to give all the speakers a 3D printed keychain of the mascot of the event, the hedgehog T3chfy. 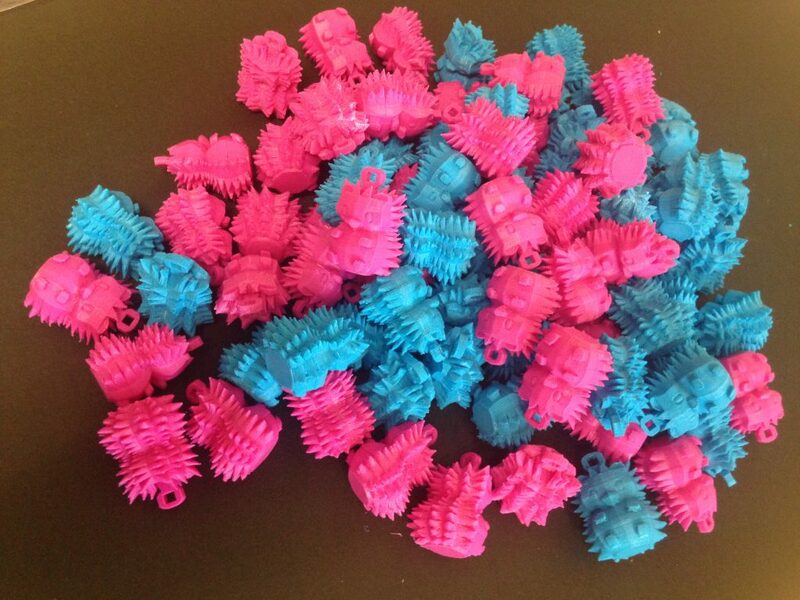 The 80 keychains were made in blue and pink, two of the festival’s corporate colors. The key rings were printed in a week at Bitfab’s facilities. An order like this allows you to use the flexible manufacturing technology of 3D printing to obtain a completely customized product and in a short period of time for an event or a marketing campaign. 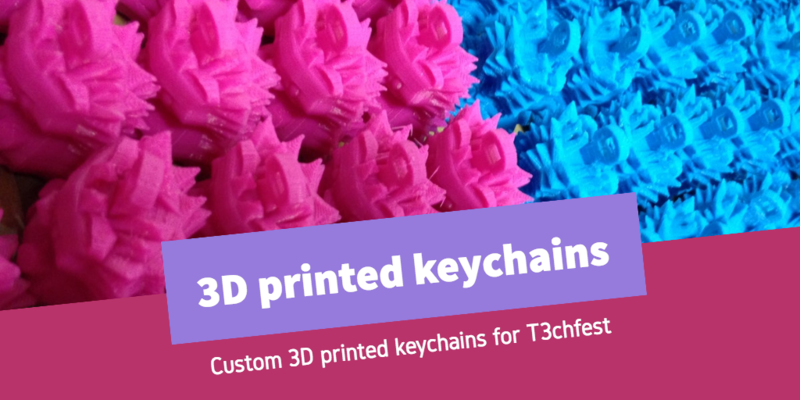 If you also want 3D printed keychains or personalized merchandising of your event you can contact us and we will help you find a solution that fits you.